This home is remodeled and stunning. As you walk into the large entry, you are immediately greeted with beautiful views of the 10th fairway of the Glaze Meadow Golf Course through the southern wall of windows. GM#276 is a spacious 2,134 sq. 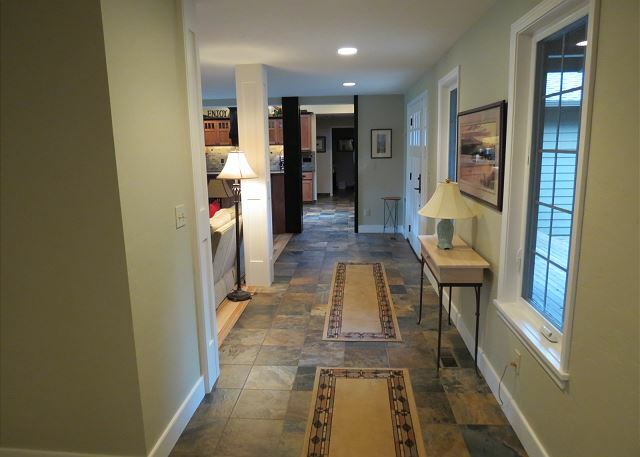 feet and has the convenience of a one-level open floor plan so workable for young families and elderly guests. The great room that you enter next has been beautifully crafted with a new wood-burning fireplace, stunning hickory floors, comfortable leather furniture and a large (45") HD television. This room is light and inviting and open to the dining room and kitchen. You'll be in the center of the action while you prepare meals with the central location of the kitchen. The kitchen has striking new cabinets with miles of granite counter tops and all the newest in appliances. 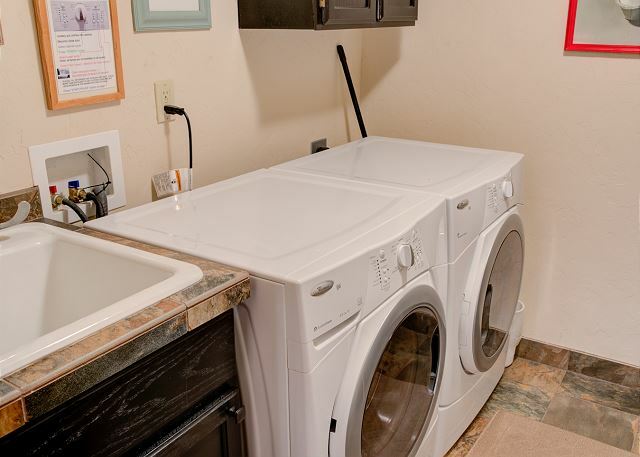 One of the master suites is beyond the kitchen as is the laundry room with its large washer and dryer. 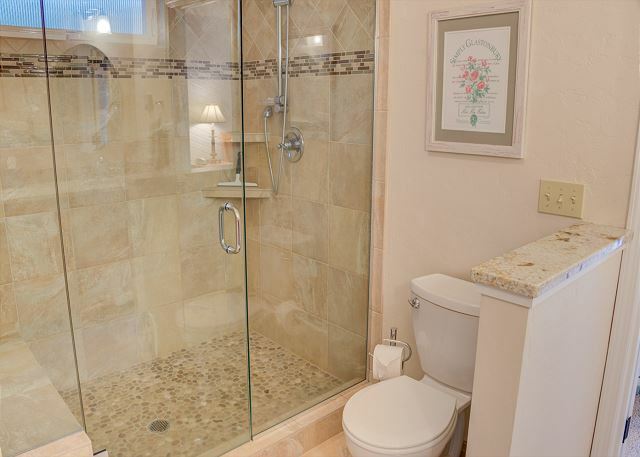 The king master has a beautifully renovated bathroom with huge walk-in shower, a golf course view and deck access. The east wing of the home houses three bedrooms. 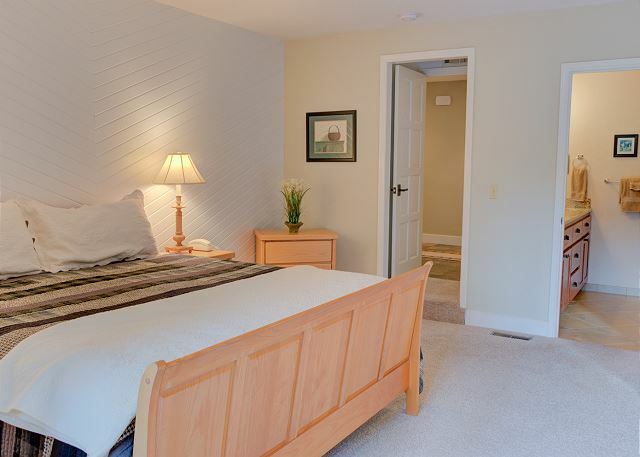 The first is the 2nd king master suite, also with a golf course view and deck access. (Both master suites have 36" televisions). 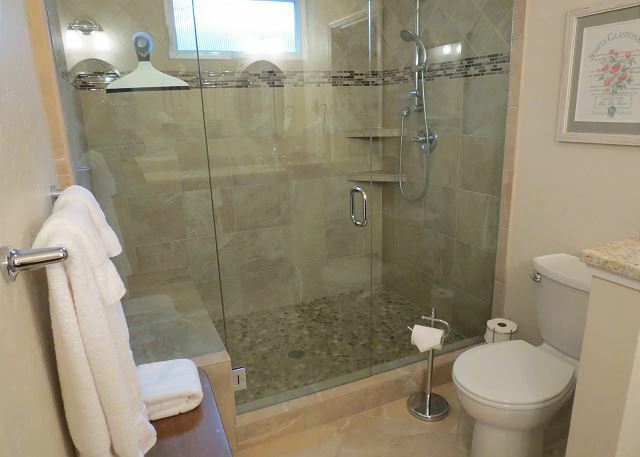 This bathroom also has a large walk-in shower. Both king master suites have televisions and dvd's for the guests' convenience. The queen bedroom and twin room both share a bathroom with tub and shower in the hallway. The south deck is large and has all the room and outdoor furniture you and your family need to sunbathe, visit with family and friends, watch the golfer's antics or have a delicious evening BBQ. This home is conveniently located just a short walk or bike ride away from the Glaze Meadow Pro Shop and Glaze Meadow Recreation Center. With all the great conveniences of home plus air conditioning, an iPod docking station, and secured wireless internet, you'll be lucky to get your family to leave! 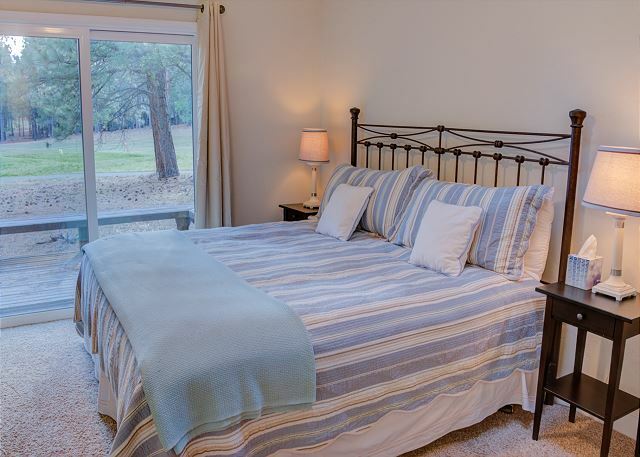 Come back often and have an unforgettable stay in this beautiful home amidst the mountains and tall pines of Central Oregon! Lovely house, fully stocked kitchen and nice view of golf course. We're very happy to hear you enjoyed the home and location. Thank you for booking with Howells. We hope to see you again next year. This was our fourth or fifth visit to this same home. 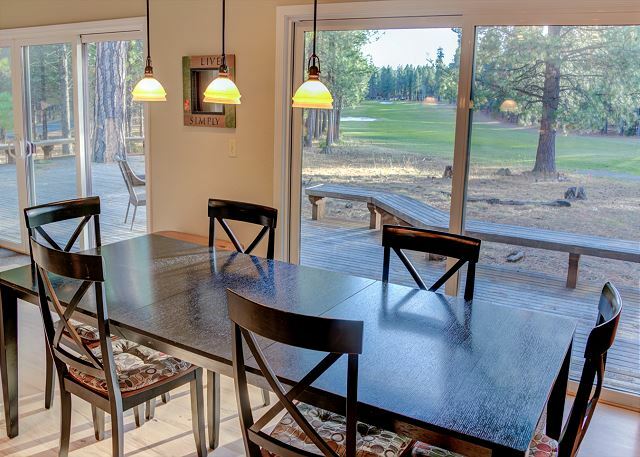 We love the location with the golf course view from the deck and plenty of space for adults and children on one level. The kitchen is well equipped, making meal times easy. Our visit included 2 sets of grandparents, our children and 2 grandchildren, and the home functioned very well. This was the perfect place for us to stay. We are 6 sisters and we get together several times a year, staying at various places. This was the cleanest and most well equipped place we've been to. We would love to return. Thank you! A few hiccups this year, but Howells was on it. Rented the same home we have last couple years. Very nice amenities, space, and excellent location. Squirrels rooting in attic. We discovered this on our first night and called Howells the next morning. They sent a pest guy out to set traps. 2nd propane tank was empty and the internet wasn't working on account of a Howells employee picking up a router the 2nd day we were there that had been a previous tenets. Howells dropped off a new router, but couldn't hook it up and make it work. My brother-in-law got it working and none of these problems hampered our vacation and family fun. Howells did a great job being attentive to our needs as these problems surfaced. The home #276 Glaze Meadow was welcoming the moment we bedraggled travelers walked through the persimmon colored front door. We were struck by the immediate view through the wall of windows and patio doors of the 10th hole of the beckoning golf course beyond the deck. We were 'home'. For a week. The kitchen is newly remodeled and stocked with everything a kitchen should have ... and more, by far, than mine does! With two master suites plus two other bedrooms everyone had feathers to fall into after busy days at the nearby swimming pool and tennis courts, biking and walking trails. The ONLY negative thing about #276 is leaving it. 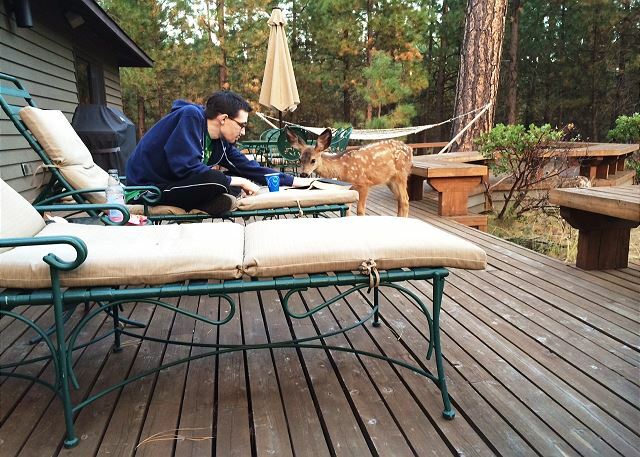 Our annual three-generation 'week away" in Central Oregon has found the perfect home! Having stayed here three or four times, it feels like home. All on one level, with an open plan design is perfect for the teen or toddler, not to mention their parents and grandparents. 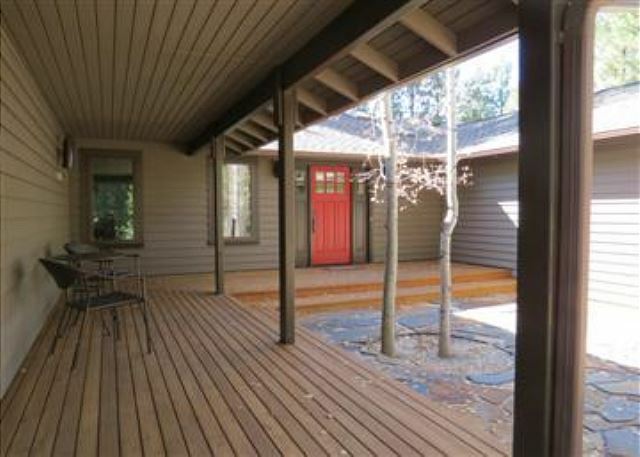 We love the large deck that faces the 10th fairway for time spent reading and lounging. Gas grill makes summer cooking a breeze. We arrive with our own bikes and enjoy our family rides to the Bistro and around the ranch.